Justin Bieber and Orlando Bloom got into quite the altercation early Wednesday morning while both were partying at Cipriani restaurant in Ibiza, Spain. Watch it go down below: Unfortunately your browser does not support IFrames. The feud is allegedly over Bieber, 20, getting too close to 37-year-old Bloom’s then-wife Miranda Kerr in 2012. 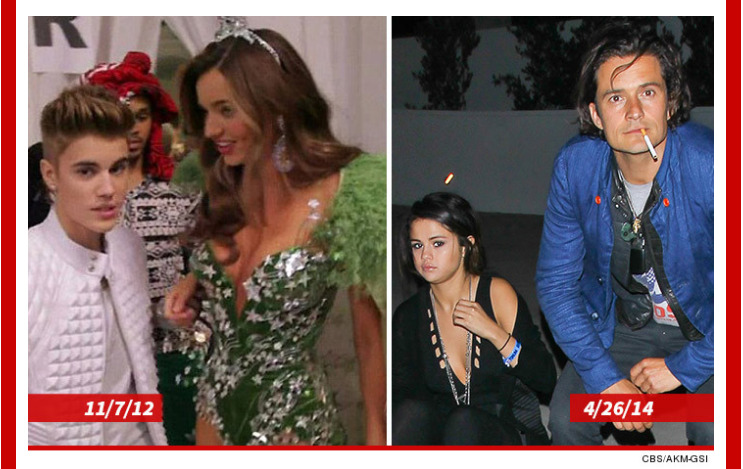 The actor seemingly retaliated by hanging out with Selena Gomez earlier this year. Bloom and Kerr separated in October 2013, in the time between the two events. Bieber and Gomez have also since split. (image below via TMZ). Paris Hilton, Diddy, and Lindsay Lohan were partying at the same club during the incident, and everyone reportedly cheered after Bieber fled the scene following the scuffle. Bieber then posted — and quickly deleted — the below photo of Miranda Kerr to his Instagram account, with a crown-emoji caption.